Live chat with Wynne Gray: Is Beauden the GOAT? New Zealanders have been enjoying the cheapest headline airfares ever while airport charges have never been higher. It's a study of how competition works. Airlines themselves are not shy about maximising what they charge on routes where they can but right now they're operating in one of the most competitive sectors in the world. For them, there's competition everywhere, for airports there's effectively none. At Auckland Airport, profits have steadily risen in step with the boom in air travel over the past few years, last week reporting an underlying profit of $263 million. The company rewards shareholders, including its 22 per cent owner Auckland Council, with a generous dividend policy that airlines say has diverted profits from redeveloping infrastructure earlier. Every traveller who passes through the airport pays a passenger service charge (it is slapped on their air tickets) and in the past year this added up to $179.1m. Then there's parking income totalling $61m, up from $42m five years ago, as well as high prices at airport shops to enable retailers to cover high rents. Auckland's ''Airport of the Future'' seems like a long way away if you're sitting in traffic on your way there or in long queues waiting to get through it. The domestic terminal is more than 50 years old, designed for a fraction of the passengers who now use it and is undergoing yet another makeover before a permanent replacement is built with work not starting before 2020. Like much of the rest of the tourism sector, the airport has been caught out by the travel boom as visitors are attracted to New Zealand in record numbers and Kiwis fill planes flying northbound. 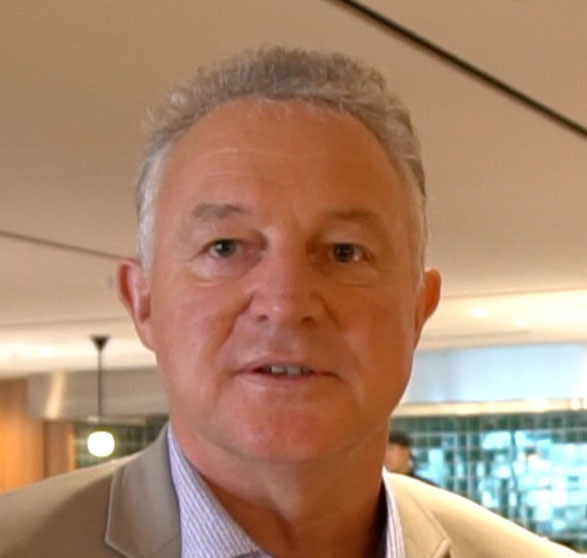 Airport chief executive Adrian Littlewood says he understands what is annoying some among the 20 million travellers who now pass through the airport each year. He's asking for patience and reckons the airport is close to getting it right more often. It's running an around-the-clock aeronautical operation in the middle of one of the country's biggest building projects. And he rightly points out that it can't be blamed for everything that goes wrong at the airport —​ if your luggage is late and the bag belt's not broken, blame the airline. The airport ranks well down the Asia-Pacific list for on-time performance of airlines using it —​ but at the end of a long global aviation chain, aircraft can run late and put the squeeze on services when they arrive at the same time. The airport can't be blamed for that. The company is ring master for 30 to 40 different agencies and organisations at the airport and it plays a key co-ordination role. One Chinese inbound tour operator says she gets few complaints from tourists her firm brings in through the airport. Another airline executive who's a frequent flyer complains of not knowing what to expect. A breeze some days, over an hour in lines on others. Airport users pay big money to pass through Auckland Airport and those who run it are handsomely rewarded —​ Littlewood's total annual remuneration is $3.6m. What passengers deserve is consistency.